Michael Dewayne Green, 40 of Rome, was arrested this week after police said he was found to be in possession of a bag of meth and a glass smoking pipe while at Rick’s Food Mart on Martha Berry Blvd. Reports said that the meth was found in a cigarette pack located in his coat. 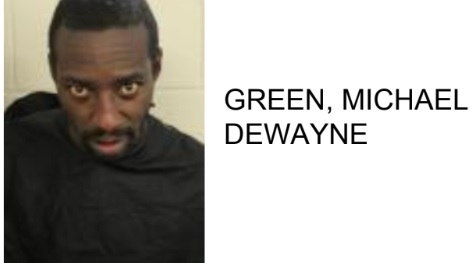 Green is charged with possession of meth, possession of drug related objects and failure to appear.